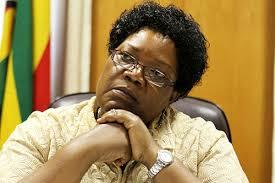 Joice Mujuru’s opposition political party will take legal action to stop any splinter group using the name National People’s Party (NPP), secretary-general Gift Nyandoro has warned. This comes after the opposition party has split into two groups, the ex-vice president-led NPP and the National People’s Party Democrats (NPPD). Nyandoro told the Daily News that reports the party had split into two opposing factions were “pure nonsense”. But when asked whether his party would take legal action against any group using the name NPP, he said yes. “It is therefore clear that the party name and symbol cannot be used by non-members like the group comprising (Munyaradzi) Banda, Mai Chuma, Masiya, Kuda Gara, Willard Gwerevende, Mapanje, among others,” Nyandoro said. “Whilst the formation of a political party by those fired is their democratic right, they cannot purport to be doing so using our party name and logo as these belong exclusively to the party. “Legal processes are currently in motion to bar the expelled members from putting the name and symbol of the party into disrepute”. “Operation Restore Legacy” — a military intervention that topled long-ruling president Robert Mugabe and ushered in the country’s new President, Emmerson Mnangagwa into office. “As such, we agree with the so called NPP legal department that there was no split but Operation Restore Legacy under the banner NPPD,” Masiya said. He accused Nyandoro’s legal department of not doing anything when “vultures overturned the constitution. “As NPPD, we are totally unfazed by political midgets and Lilliputians masquerading as legal supremos. “The so-called expulsions are mere political dreams and allegations with no legal ramifications. “We are strong and fully geared after completion of the cleansing ceremony and the party is back to the people,” Masiya declared.